First thing to do is to make the cheese out of the milk. So you will start by bringing the entire gallon of milk to a boil. 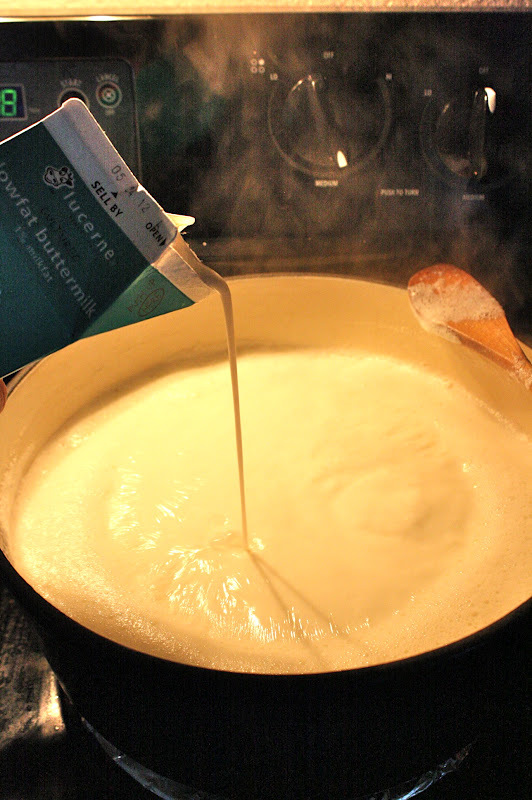 Use medium heat, and this way the milk will not boil over. Once the milk starts to boil vigorously, pour the buttermilk in. 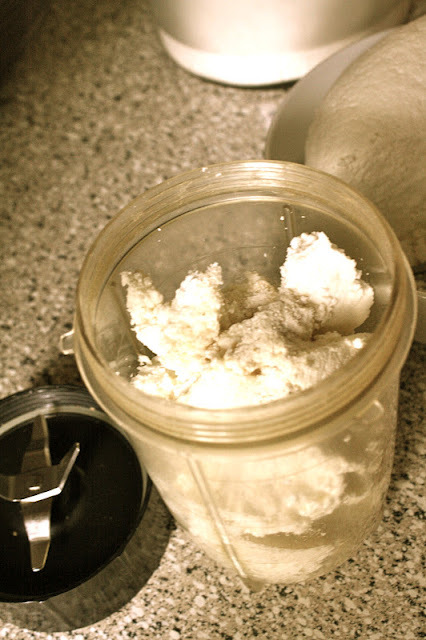 Once the buttermilk is in, the milk will start to break into the cheese. Keep the pot on the stove for about 5 mins, and then turn it off. This is also the process for making paneer. After you have the cheese, you can actually make a list of things from this. 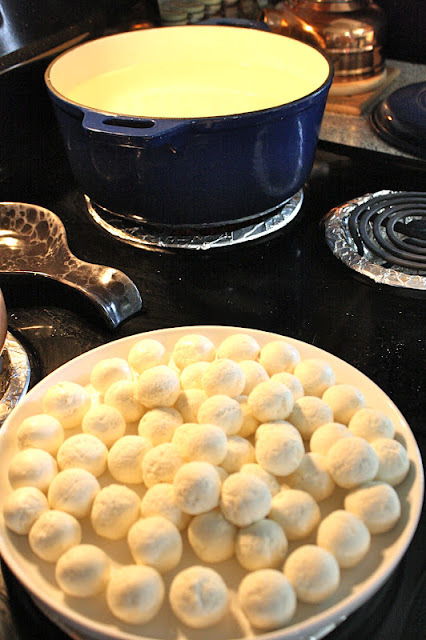 Place a colander and cover it with a cheesecloth. Now pour the entire content of the pot in this. 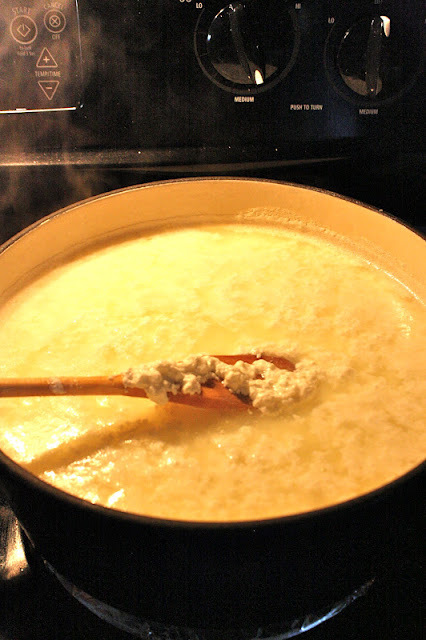 Let it cool, and then start squeezing out the water out of the cheese through the cloth. You want to take out as much water as you can. 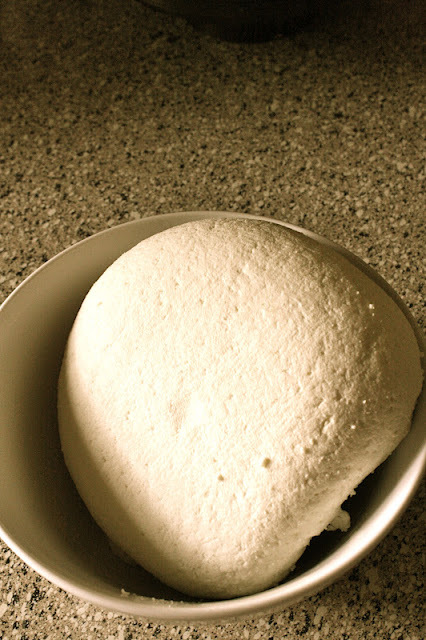 When you take the cheese out of the cloth, this is what it should look like. My method after this is to use a blender and mix the cheese with the semolina, flour, and the full cream/half 'n half. I used a magic bullet to do this. 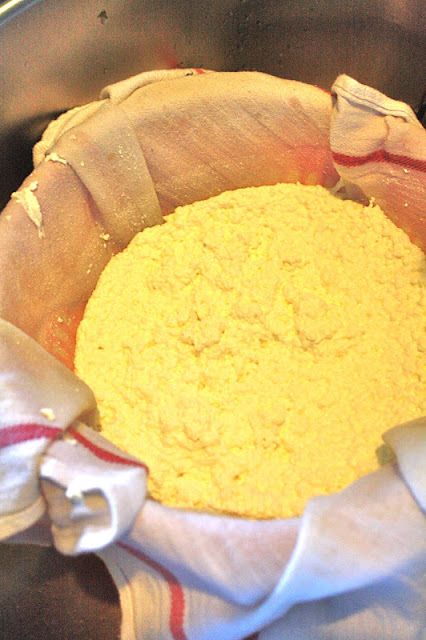 The mixing will make the cheese soft and fluffy. You can mix this by hand as well. Just treat it like dough. 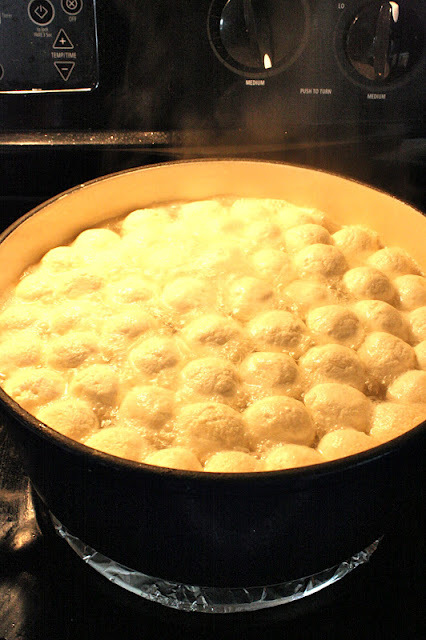 Now time to make those round balls. 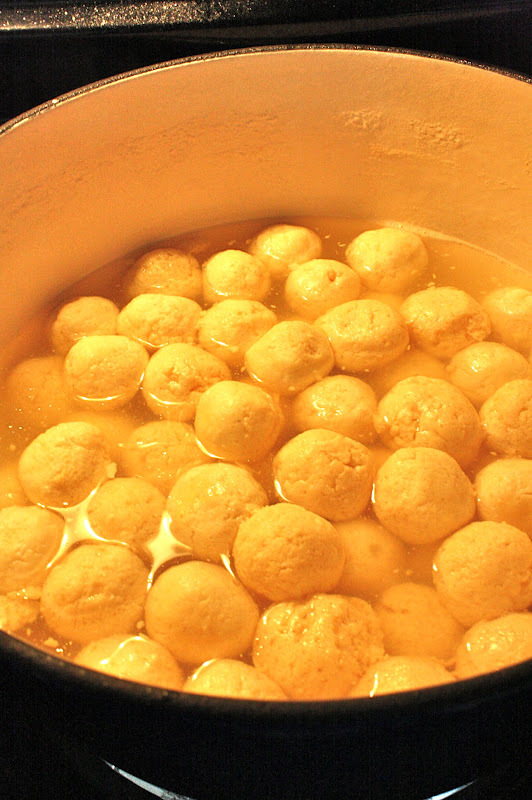 Simultaneously or before you make the balls, you want to fill your pot with water and pour the 2 cups of sugar in there. This will be the syrup for the roshogolla which will sweeten it. If 2 cups of sugar is less for you, feel free to add more. Once the water boils vigorously, start dropping the balls in the water one by one. 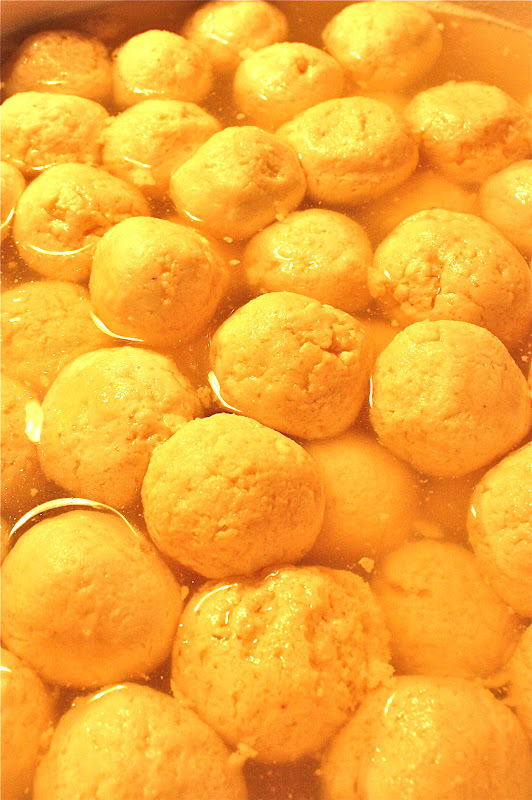 The roshogollas will start rising up to the water level. Now is the time consuming process. You need to boil this at medium heat for 2 hours! Yes, thats right. 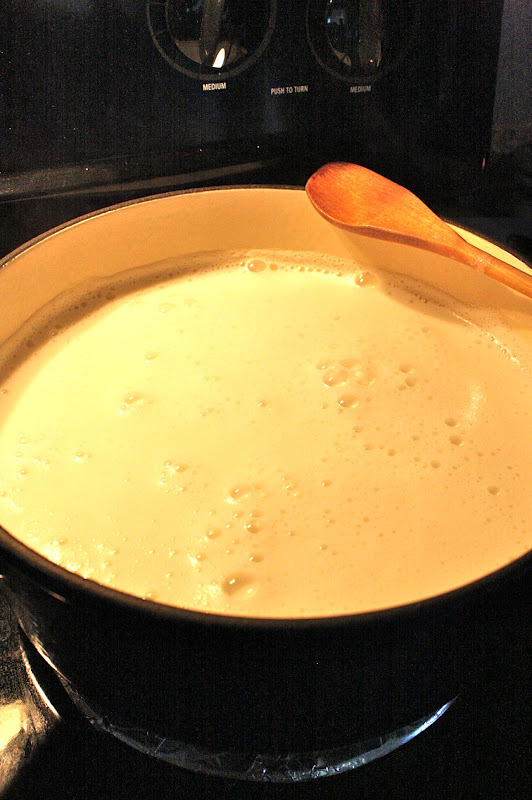 After 2 hours, the liquid will reduce and become thicker. You can taste to see if you need to add sugar at this time. 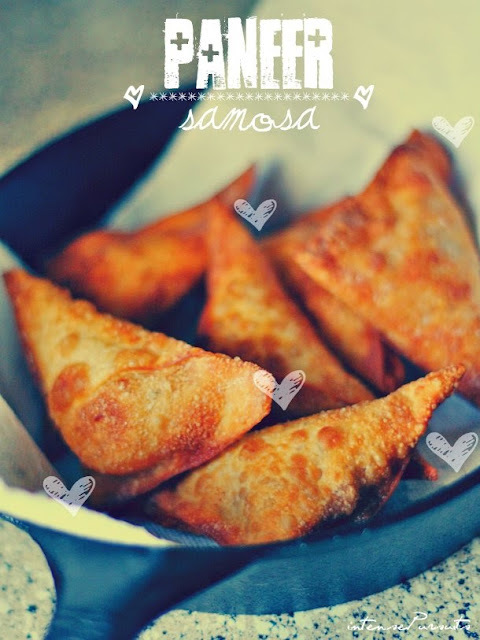 Eat them now while they are hot, or store them in the fridge and enjoy cold. Whatever way you like!